The love story of Elizabeth Bennet and Mr. Darcy as written by Jane Austen in Pride and Prejudice has been one of the most popular in all of English literature. Now over 200 years old it's been made into numerous movies, plays, and variations. Understanding Elizabeth is one of these variations. Since most of the characters in Understanding Elizabeth came straight from Pride and Prejudice, I'm going to refresh your memory with this diagram to show how they are related. It has been sixty years since I read Pride and Prejudice, and that's why I needed to read it again before writing this review of Understanding Elizabeth. If you haven't read Jane Austen's original recently enough to remember the plot and characters, you can watch this video summary or download the free book from Amazon, as I did. This is the best of the summary videos I found. If you prefer to read a plot summary with descriptions of the original characters in Pride and Prejudice, Wikipedia provides it. I reread the 410 pages in two days to refresh my memory, since the plot is complex and my memory isn't what it used to be. I found I appreciated Pride and Prejudice more at 75 than I did at 15. 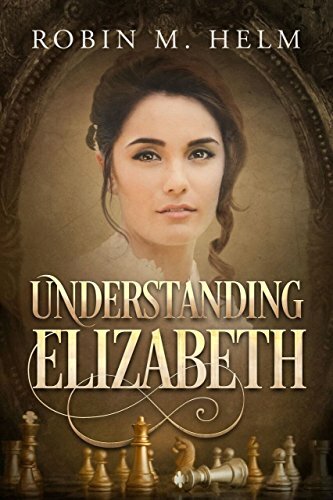 Understanding Elizabeth by Robin Helm focuses on Mr. Darcy's inner thoughts. Although the narrator tells the story, Robin Helm lets the reader inside Mr. Darcy's head. Whereas Jane Austen reveals what her characters are thinking through their words to each other and comments from the narrator, in the Helm book Darcy's italicized thoughts are interspersed between his spoken thoughts and the narration. We discover what motivates his words, including those infamous insulting words spoken to his friend Mr. Bingley at an Assembly. Bingley wanted Darcy to dance with Elizabeth and offered to arrange an introduction, but Darcy coldly replied, 'She is tolerable, but not handsome enough to tempt me...' Elizabeth overheard him, and although wounded, she joked about it with her friends. The offending words came from Pride and Prejudice, but they play a major part in both books. Fortunately I need not care for Mr. Darcy's good opinion, as I have known from the first moments of our acquaintance that I am not handsome enough to tempt him. After all, in his own words, I am barely tolerable....As I told Charlotte, I could easily forgive his pride had he not mortified mine. It was in trying to understand Elizabeth that Darcy alienated her. After hearing that her sister Jane who was staying with the Bingleys at Netherfield had become ill, Elizabeth immediately left for Netherfield to care for her . Darcy was also staying there, and one evening while a group was in the parlour, Darcy observed Elizabeth reading a book. That impressed him because he liked intelligent women who read. He wondered what she was reading. As he observed she was also writing, he became curious about that, as well. When she left to go back to Jane's room, she accidently left her book behind. Darcy took advantage of this and grabbed it, hoping to read the pages she had written and concealed in the book's pages. He battled his conscience before doing this, knowing he shouldn't, but he couldn't stop himself. He hid the book in his newspaper and took it to his room. The first papers reveal her thoughts on the poem she was reading, but then after arguing back and forth with himself about invading Elizabeth's privacy, he yields to the temptation to understand her thoughts. As he reads her notes on Gray's "Elegy Written in a Country Churchyard," he sees her opinion that 'to be generous and sincere is better than to live for worldly fame and fortune.' He wonders if she thinks he "wallow[s] in luxury and pride." He questions his own character. As he reads her opinions, he 'picture[s] himself under a magnifying glass held in her small hands.' Then he realizes the rest of the papers in the book are her personal journal. As he reads he realizes she overheard his remark about her not being handsome enough to tempt him, and he admits to himself he hadn't meant it but was merely trying to get the matchmakers, including Bingley, off his back. By this time he knew he was becoming attracted to Elizabeth against his will. He closes the book and sneaks it downstairs to return it to where Elizabeth had left it, now dark. Everyone else had retired by then, and, newspaper in hand, he is headed back to his room when he runs smack into Elizabeth who had come to retrieve her book. After a brief conversation about why they are there, they return to their rooms. And he realizes he is in danger of falling in love with Elizabeth. By this time Darcy deeply regrets the insulting words he had spoken to Bingley about Elizabeth. He had never intended for her to know about them. Now they were thwarting his desire to have her think well of him and she made it clear that she loathed him. As he wishes he could take back his words, the theme turns Faustian as the devil appears in a dream to ask what he'd give to take back his words. 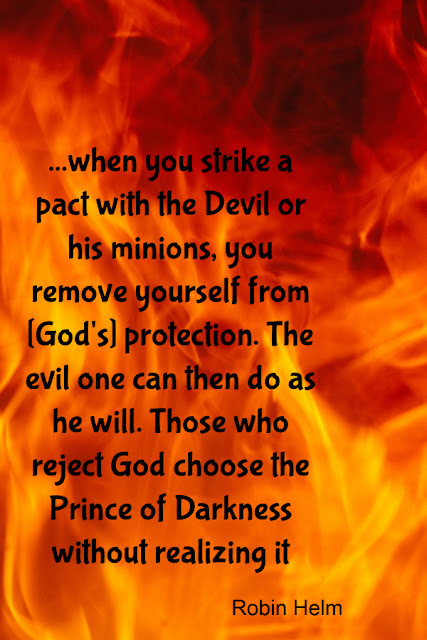 But the angel who also appears in the dream reminds him that anyone dealing with the devil has a price to pay. These dreams are repeated all through the book as Darcy tries to repair the relationship damage his words have caused. Elizabeth still doesn't realize he knows that she overheard them. That comes out later just as the relationship seems to be healing. 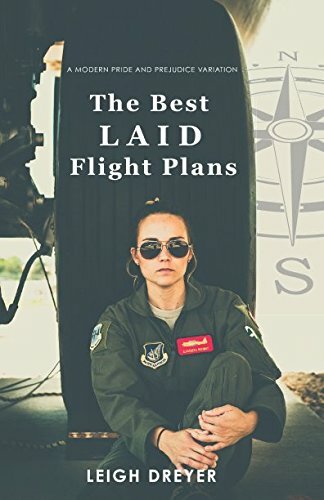 The relationship continues to develop until Darcy makes a verbal slip that makes Elizabeth realize he had read her journal. When she confronts him, he at first denies it. 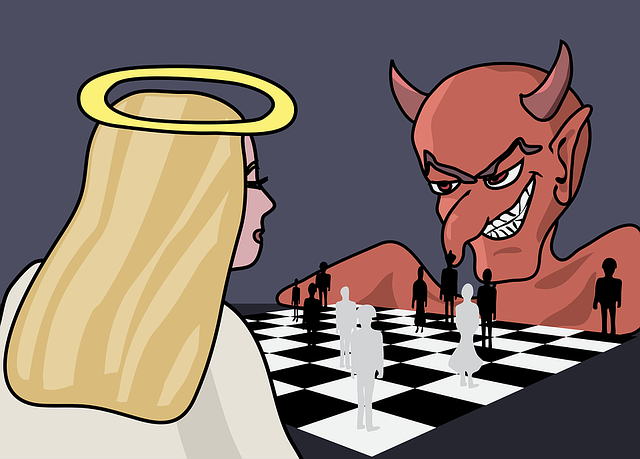 She then ends the chess games and the relationship because he not only invaded her privacy but also denied it. She returns his book and tells him to burn any of her notes in his possession. She also forbids him to call her Elizabeth any more and insists it be Miss Elizabeth. That night the angel and the demon return again in a dream. Only quoting the Scriptures keeps Darcy from dealing with the Devil. The demon says he will return only once more. The quote in the image below was a warning from the angel. 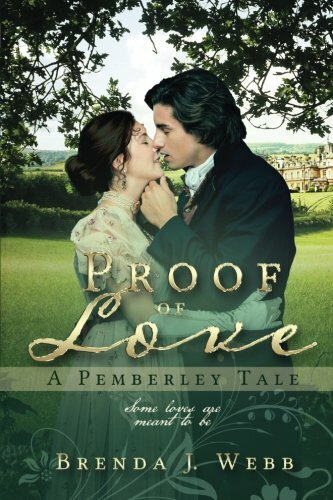 Unlike many Pride and Prejudice variations, this book is not a sequel. Instead it parallels the plot of Pride and Prejudice, adding many more details about the period Jane and Elizabeth spent at Netherfield during Jane's illness. It also elaborates on what Darcy did to help after Lydia ran off with Wickham. In Understanding Elizabeth, Darcy doesn't try to break up Bingham and Jane, nor does Elizabeth become as friendly with Wickham as she does in Pride and Prejudice. Darcy's marriage proposals are handled differently, and so are the weddings. The most significant difference in the books is the Christian element. Whereas Austen devotes several pages to making Parson Collins look pompous and ridiculous, he is not so major a character in Helm's book. We get only a hint of his attitudes and see fewer of his interactions. Helms also explores Darcy's spiritual life. She reveals the torment he goes through in his dream visions and temptations before he finally achieves a difficult victory in which the Scriptures play an important role. In his search to understand Elizabeth, Darcy learns to better understand himself. As he sees more of his own sin, he loses ungodly pride and develops more humility. He is finally able to love more unselfishly. Fans of Jane Austen will enjoy the additional details in Helm's plot. 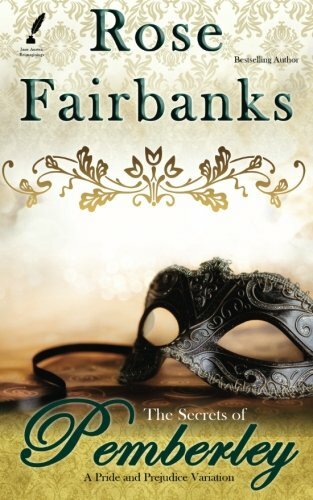 Helm doesn't change any of the main plot elements, but she gives readers deeper insight into what motivates Darcy and Elizabeth. She alters some of the plot details and adds some characters such as Molly and Watkins, but she doesn't change the personalities of the main characters Austen created. Austen lets Jane recover from her illness and leave Netherfield in chapters 7-12. Helm devoted at least her first sixteen chapters - more than half the book - to Jane's convalescence, thus giving Elizabeth and Darcy much more time to develop a relationship before Elizabeth breaks it. I appreciated this. Understanding Elizabeth is much easier to read than Pride and Prejudice. Though it retains the style and customs of Austen's book, it's easier to keep the cast of characters straight in Helm's book. The language is not as obsolete. Many of Austen's words have different meanings today than they did 200 years ago. That being said, Austen's book still surpasses Helm's in overall literary quality and character portrayal. Still, I'd give Understanding Elizabeth five stars. It's entertaining, the main characters are well-developed while remaining true to Austen, and the spiritual elements add depth. I loved the ending. Many others have written variations of Pride and Prejudice I've not yet had a chance to read. I'm amazed at how many there are -- from historical to modern. Some make the romantic details much more explicit than others set in that historical period. The three I'd like to read next are in the group below. Why not download one today? It's rather fascinating to realize that so many variations exist of Jane Austen's Pride and Prejudice. It speaks well for the author and original story for this interest to have lasted for so long and interpreted so many ways by others through various books and movies. Barbara, you've done a wonderful job sorting it all out and presenting us with your review of Understanding Elizabeth. After seeing so many variations of Pride and Prejudice, it makes me wonder how many other classics have created such a response from other writers. I know of a lot of parodies of classics, but am not yet aware of variations and sequels. Maybe it's just because I've just never looked. I suppose electronic publishing has made it much easier for writers to to get such alternate versions into the public eye than they could when books had to come from a book publisher. I am a huge "Pride and Prejudice" fan. I suspect just about anyone who has ever read the book would need time to ponder attitudes of both Elizabeth and Darcy, as we would anyone we have ever met and cared to understand. It would be interesting to read Helm's interpretation. Yet Helm's book can stand alone. It's worth reading even if you've never read Pride and Prejudice. I haven't read any of the other variations yet, but I would imagine they would be the same. I'm glad most of today's novels don't have as many characters you have to keep straight as those Austen wrote. Excellent review. I've not read the book, but I do believe I've seen the movie. You make me want to at least look out for the movie again. Funny quirk, every time I hear mention of Darcy from Pride and Prejudice I think of the movie 'You've Got Mail' with Tom Hanks and Meg Ryan, where she's discussing Darcy's character. I loved 'You've Got Mail,' but I don't remember that scene. It's been years since I saw it.